There is so much knowledge out there about what is good and detrimental for teeth. And while some people make it a huge priority to avoid all the aggressors, the rest of the population lets things slide. However, we all know the warning signs when something is not quite right with our smiles. And a person might see white spots develop on the teeth and wonder if they are just being vain in caring. But the truth is, white spots on teeth can be harmless, but they can also be the sign of more serious problems. And really, only a trip to the dentist can tell someone whether it is the former or the latter. Smile Works Orthodontics, located at 11808 St. Albert Trl. N.W., Edmonton, has a lot to say on their website regarding oral hygiene. It is especially important to maintain good eating and care habits while wearing braces because plague can build up under the brace. That means if this area isn’t being properly brushed, when the braces come off, a person’s smile might be whiter around where the bracket was. 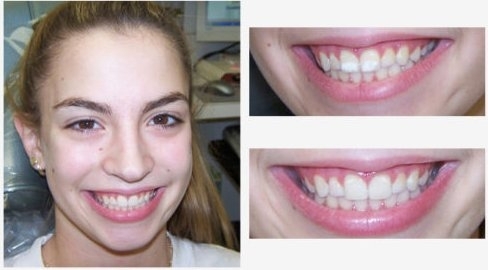 The Dentists at Northgate offer solutions to whiten the teeth, even those with white spots. They recommend on their site brushing three times a day and using fluoride to prevent tooth decay. If you are concerned about white spots on the teeth, they can be called at 780-790-9770 for an appointment. They can also check the teeth to ensure that the white spots are not tooth decay and an area that needs special care. Their location is 1026 Northgate Centre, 9499 - 137 Avenue, Edmonton. Urban Smiles Family Dentistry in Edmonton also seconds the notion that fluoride is important. In fact, they say that it is the number one defence against childhood tooth decay. In fact the substance can also help reverse tooth decay through giving minerals back to the teeth and reducing acid making bacteria. This is a major reason to spring for those fluoride treatments at the dentist. Urban Smiles can be reached by their phone number at (780) 989-6030. Their location is 8003 – 104 Street NW, Edmonton. Dental Design Concepts in Edmonton, located at 201, 7019 Calgary Trail, offers advanced cosmetic work for teeth with white spots. If a person is unhappy with the coloring of the teeth and other aspects, then porcelain veneers might be a viable solution. Their website has pictures of some of their work, and they can be reached at (780) 434-8685. We can all be guilty of putting off dental visits for years. It is not uncommon for a person to pronounce that they have not been to the dentist is 6 years, and their teeth are fine. Well, fine is a subjective term, because it is not advisable to wait until the teeth visibly show damage to warrant a visit. Staying on top of your oral hygiene by visiting the dentist once or twice a year and brushing three times a day can optimize the natural health of teeth. And then you can smile without decayed areas on the teeth that could have been avoided.